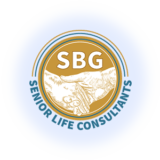 With an extensive knowledge in the areas of Medicare law, long-term care solutions and strategies, and senior resources, we offer individual and group workshops designed to educate and empower you to find solutions to cope with complex issues and make effective decisions. Medicare & You • How to know if you are in the right health and part D plan? Medicare Law • Empowering you to know your rights at the Doctors office and Hospitals. Medical Billing Mysteries • Help! Do I really owe that bill? Long-Term & Home Care • Why? When? How? Retirement Planning • What if I run out of money? What can I do? Social Security Strategies • When should I take it? When should my spouse take it? Trusts and Wills • Do I need one or both? Estate Planning • Pass your legacy on efficiently and correctly. Medicaid Planning • I do not want t go to a nursing home. Aging in Place • Strategies to safely and cost effectively remain at home. Planning for the Future • Questions and answers to ask yourself. Discussions panels with our rotating Partners in Protection guest speakers, offer the best in unbiased advice and services that are designed to empower you to make the right decisions and guide you to a secure and protected future.